Over a hundred visitors turned up today for Tamera’s open day. 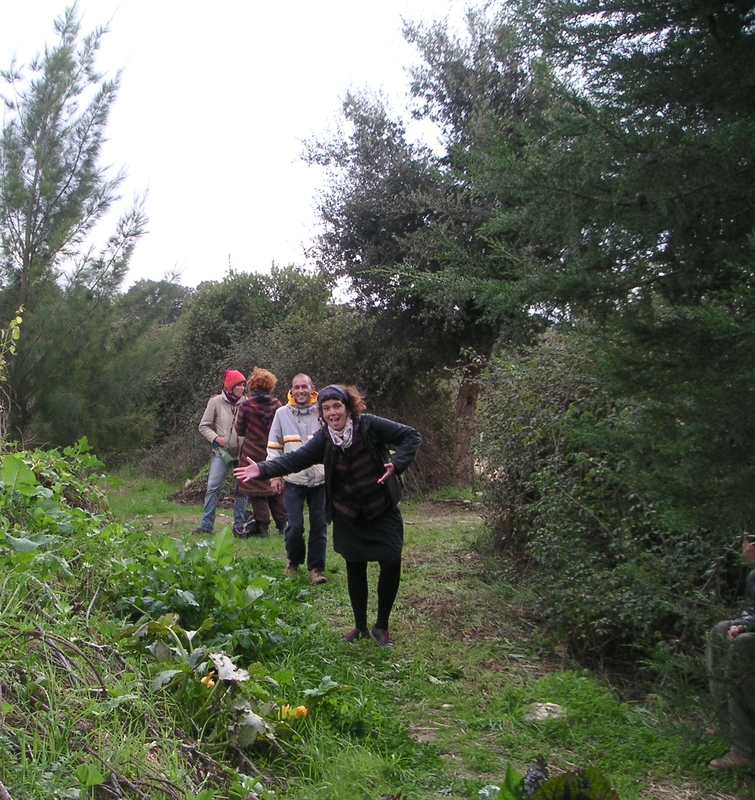 The Osho Garden crew was the first to arrive because Nissa needed to register early for the Permaculture course that she booked. I enjoyed to meet Sepp Holzer again, the designer of their ever growing water landscape and I picked up some more ideas from this inspiring Permaculturist. He explained about the lakes again and showed us the latest one. He also demonstrated how pigs can be seduced to work agricultural land. So now we know how to handle the wild boar that we have on our land. The picture shows the landscaping of the tree labyrinth that Xicca designed for us. As we need trees for it I went to Viveiro Dinis today, a tree nursery near Monchique recommended to us by our friend Peter, and selected some 50 trees ranging from cherries, peaches, apricots and grapefruits to walnut, almond, carob, and much more. 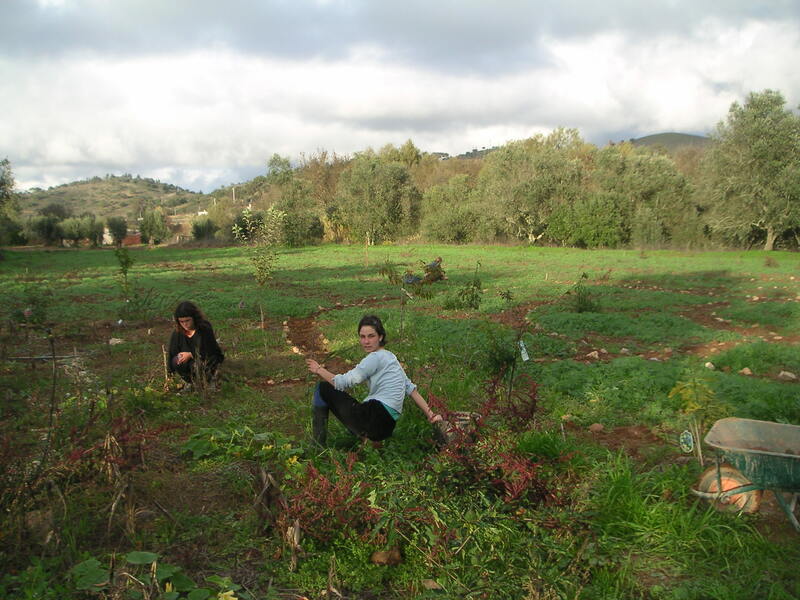 It will become a food forest over time. 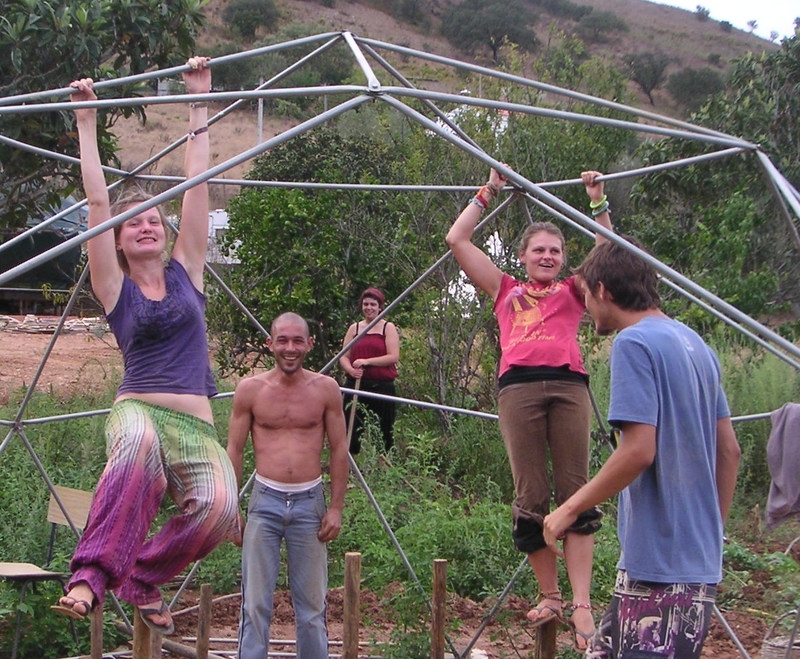 Over pretty much time but such is Permaculture. After we ate most of the birthday cake someone reminded me to take a picture of this new and cool raw vegan product. It’s kind of a Carrot Ice Cake on a layer of Goodness. It is so new, it’s not in Anna’s Raw Vegan recipes yet but others I told you of are. 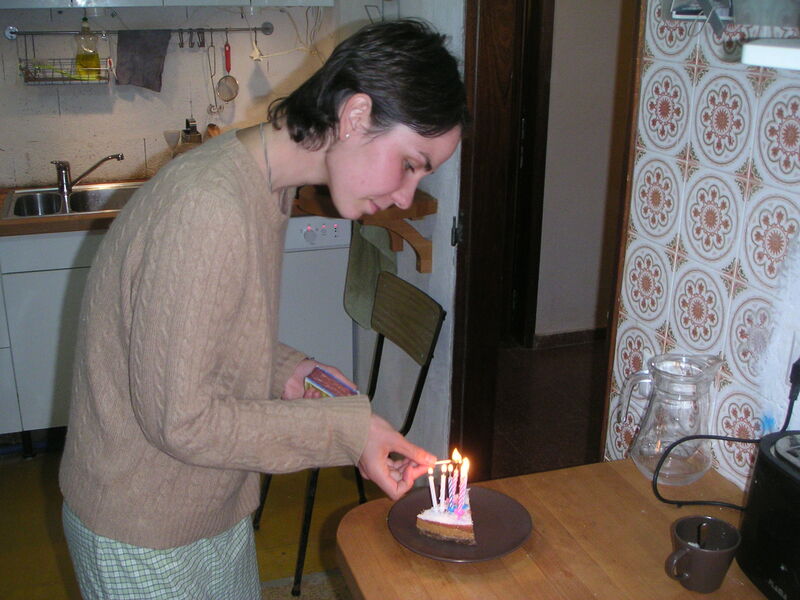 For this picture she lit the 7 candles again on the last piece of cake, tactfully revealing only the last digit of my age…. 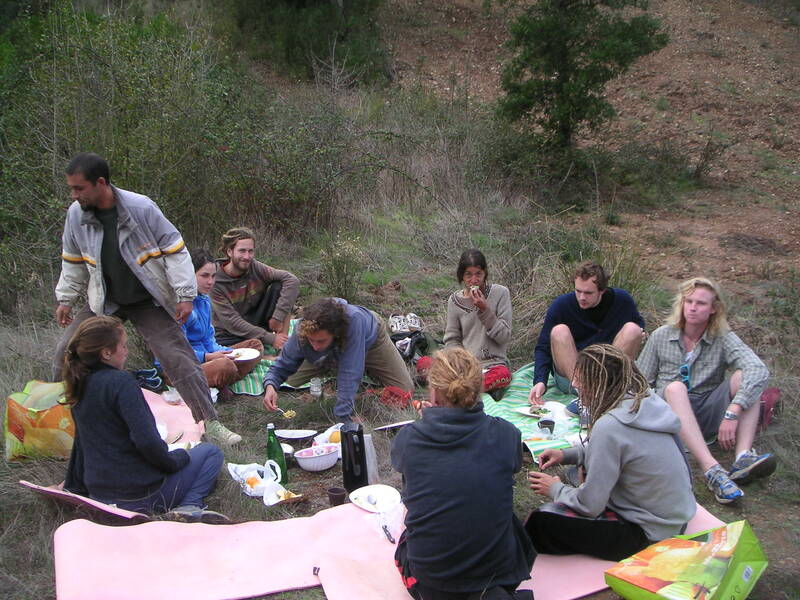 Our meeting in the garden dome this morning was about Permaculture. 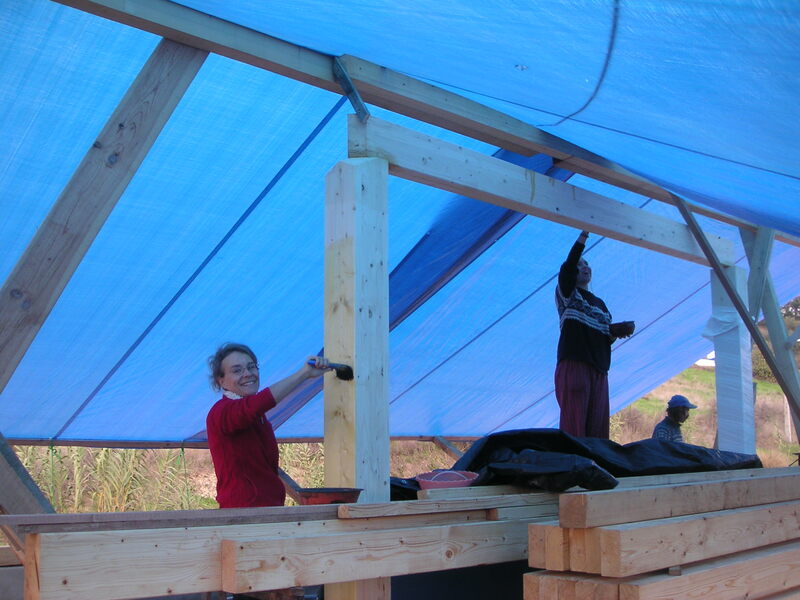 Benji and Michael will return to New Zealand but they said it would be the dream of many a Permaculture designer to take ownership of such a large new project. They encouraged us to advertise this opportunity and select someone with the right qualifications to join us. 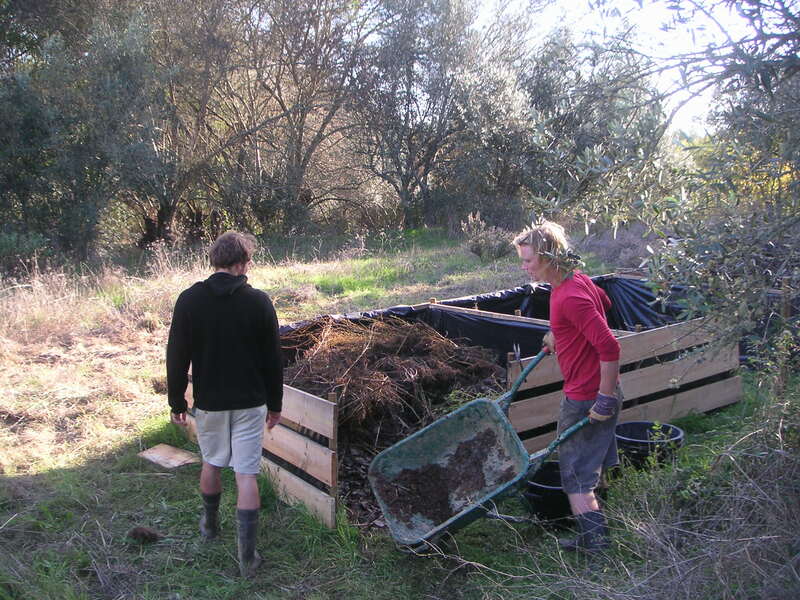 Then they went on to gather heaps of compostable material.